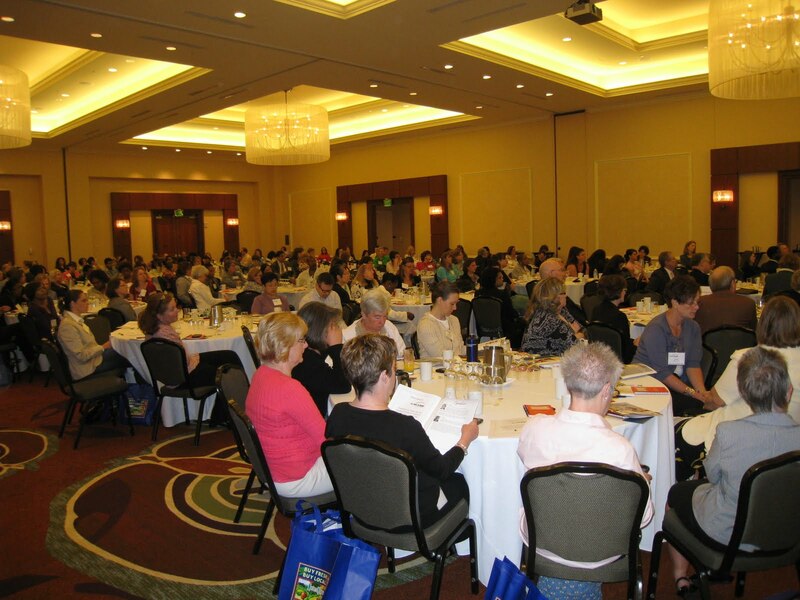 FABB attended the a conference on childhood obesity at GMU on Friday. Let's Move The Needle on Childhood Obesity was a gathering of educators, government officials, and advocates to discuss ways to reduce childhood obesity. In Fairfax County, 23% of children 2-5 years old are overweight. Senator George Barker noted that for the first time every it's project that children today will have a shorter lifespan than their parents. He compared combating obesity to the fight against lung cancer and smoking. Government does have a role and can have a significant impact in fighting the epidemic, through the use of warning labels, public service announcements, and taxes. We met many people who were interested in trying to get more kids to walk and bike to school and for short trips in their neighborhoods. They need better bike education and they need better facilities. The Safe Routes to School program is a comprehensive way to address both issues and it was mentioned many times during the conference. It will take time to transform our car-dependent communities into walkable/bikeable areas, but it's possible and we need to start now. The Commonwealth Transportation Board will hold a public hearing on the proposed Six-Year Improvement Program (SYIP or Six-Year Plan). The meeting is Wednesday, May 4 at the new VDOT District Office, Potomac Conference Center, 4975 Alliance Drive, Suite 1N201, Fairfax, VA 22030 starting at 7 p.m. This is a chance for cyclists to ask for better bicycle facilities in Northern Virginia. Maintenance of our roads and trails continues to be a problem. It's embarrassing how poorly our roads are maintained, with crumbling pavement and unswept debris that is a hazard to motorists and bicyclists, and vegetation blocking sight distance in many places. The FFX Co Parkway trail has never been repaved. It has grass growing in cracks and has no wayfinding signage in several places where the trail diverges from the parkway. We shouldn't be widening roads and building new infrastructure unless we can repair our existing roads and trails. Maintenance of bike lanes and paved shoulders will include repair, replacement, and clearance of debris. As these facilities are an integral part of the pavement structure, snow and ice control will be performed on these facilities. 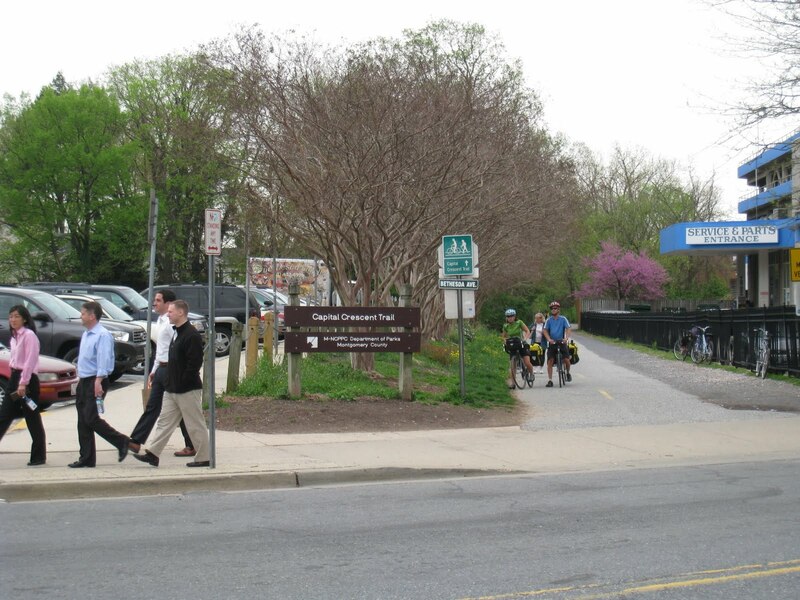 For sidewalks, shared use paths, and bicycle paths built within department right-of-way, built to department standards, and accepted for maintenance, VDOT will maintain these bicycle and pedestrian accommodations through replacement and repair. VDOT also needs to fully fund bicycle improvements in the Tysons area (Tysons Metrorail Access Improvement project (UPC 100469)). In the SYIP only $19M of the requested $56M is being funded through 2017. Only $4M of the needed $14M for preliminary engineering in 2012 will be funded even though the Silver line Metro stations will open in 2013. In order for Metrorail to be successful, access to the stations needs to be improved for all modes. The county now has a plan for future bike facilities in Tysons and these should be funded before the stations open. It's also time VDOT hired a bike coordinator and finalized the State Bicycle Policy Plan. It's inexcusable that the coordinator position has been vacant for nearly a year and a half. If you cannot attend the public hearing, please provide comments at: six-yearprogram@vdot.virginia.gov. See the public meeting schedule. Most of us who travel by bike know that for short trips riding a bike is often faster than driving, especially when you consider the time it takes to park and walk to your destination. We also know that our travel time is fairly consistent. Motorists usually have to allow extra time to account for possible congestion, wrecks, parking problems, etc. 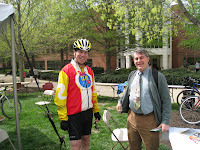 Reston, VA, April 26, 2011 - Bike to Work Day is Friday, May 20 at the Reston Town Center Pavilion. To promote traveling by bicycle, on Monday, May 2, several residents of Reston are holding a bike/car/bus commute challenge. The purpose of the challenge is to compare the cost and travel time of the three modes during a typical short commute within Reston. For short trips, bicycle travel time compares favorably to car and bus travel times, and the cost of the trip is much less. National surveys indicate that nearly 50 percent of all trips are 3 miles or less. The event will begin at 8:15 a.m. on May 2 and will last approximately an hour. The participants will leave from Cobblestone Lane in south Reston and travel to the Reston Town Center Pavilion, slightly more than 3 miles away. Each participant will be timed. The motorist must park in long term parking, as if he is going to be working at the Town Center for the day, and walk to the Pavilion. The bicyclist must also park and lock his bike and walk to the Pavilion. The bus rider’s time includes walking to and from the bus stop. People can choose their own route and must obey traffic rules. Bruce Wright, Chairman of Fairfax Advocates for Better Bicycling, will ride his bicycle, Del. Ken Plum will drive his hybrid car, and Reston Association President Kathleen Driscoll McKee will ride the bus. "I'm confident I can get to the Town Center before Ken and Kathleen. On a bicycle I'm not affected as much by congestion on the road," said Bruce. "Plus, I'll have fun, save money, and get a workout at the same time." Hunter Mill District Supervisor Cathy Hudgins has been invited to meet everyone at the Town Center. The cost of maintaining a bike is around $200/year. By comparison AAA estimates that the cost of maintaining a car is about $8,000/year, more than most people spend on clothing, health care and entertainment combined. Driving also has many indirect costs as well. Nationwide, motorist user fees pay for about half the cost of building and maintaining roads. All of us pay for the rest of the cost. Most of us also pay for “free” parking by paying higher prices for goods and services. The cost of one structured car parking space is around $15,000. The cost of a bicycle rack is approximately $300 installed. Transit costs are more difficult to quantify, varying by type and usage. For more information contact Bruce Wright at 703-328-9619, chairman@fabb-bikes.org. 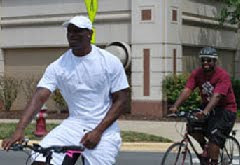 Wright is hoping that the Reston competition will encourage commuters not only to participate in the annual Bike to Work Day on May 20 but also to consider biking as a realistic alternative to motor vehicles. He says the annual cost of maintaining a bike is about $200. (Which tells me he maintains his bike a lot better than I maintain mine.) By comparison, he says, it costs about $8,000 a year to keep a car, citing an AAA estimate. "Wright has challenged me several times now to set up one of our Post "Which Way?" commuting features as a bike vs. car competition, and I do plan to take him up on that." For history buffs that like to take a more active role in exploring Civil War history, this hotel package is a perfect fit. The Alexandria Civil War Bike Trail officially launches on June 4, 2011, and includes major stops such as Fort Ward, Fort Worth, Fort Elsworth, and Alexandria National Cemetery. This offer can be booked online using the Book Now link above, or by calling (800) 368-5047 and referencing rate code "CIVIL". This offer is subject to availability. Fairfax County received funding to produce the "Sully District Historic Sites Bike Map, a guide to family-friendly bike routes that highlight Civil War and historic sites in western Fairfax County" but we haven't heard if any progress is being made on the project. The Northern Virginia Regional Commission is holding a workshop on the Potomac Heritage Trail, Closing the Gaps in the Potomac Heritage National Scenic Trail (PHNST), on May 4, 2011, at the Belmont Bay Osprey's Club, from 10 am to 3 pm. "The workshop, focusing on the PHNST from Mount Vernon to Locust Shade Park in Prince William County, is aimed at public land managers, trail and transportation planners, and PHNST stakeholders, both public and private. The workshop is free, but registration is required. Vienna residents will choose three at-large Town Council members on Tuesday, May 3. The four candidates running for these positions are Hamid R. Barahmand, Laurie A. DiRocco, Carey J. Sienicki, Howard J. Springsteen. DiRocco and Springsteen are current members of the council. Barahmand: My suggestion is, when I was living in Canada, sidewalks were a little bit wider than our sidewalks and they were shared with bicyclists. Sienicki: I think it's very important to identify bicycle routes so that people who are now using streets to get to and from Metro areas, for children to get to and from schools, I think it's very important to identify within the town safe routes for them to use. DiRocco: I think bicycle lanes and routes are part of a healthy community and I think it's important to have them in our town. I hope the Bicycle Advisory Committee continues to recommend places that it's appropriate for continuing to have bike lanes and bike routes throughout the town. Springsteen: I was very pleased that the Bicycle Advisory Committee and the Transportation Safety Commission worked very hard at the route down Courthouse Road. I will continue to work through them and take their recommendations. To see the other video clips scroll to the bottom of the page. There was a good crowd at the Vienna Green Expo last night, several of whom bicycled to the event. It was held in the Vienna Community Center adjacent to the W&OD Trail. We gave out lots of county bike maps, signed up a few people to receive our bi-monthly newsletter (next edition due May 1), and talked about bike routes in the area. The best quote of the night was from a man who commutes from Vienna to Ballston. He and his family biked to the event. When speaking of his commute he said that "working is what I do between bike rides." That's a great way to look at your commute. As we often say, cyclists are the only people we know who usually like their commute to work. We were interviewed by a Courtney Collins from WAMU 88.5 and a short segment appeared on this morning's local news segment of Morning Edition. We also spoke with Erica Hendry of Vienna Patch. About 100 people participated in Bike to Mason Day this morning. It was a cool, sunny day as students, faculty, and staff rolled in to the registration check-in area where they were provided t-shirts, metal water bottles, fruit, pastries, coffee, and juice. Oasis Bike Works and The Bike Lane were both present. Oasis provided free tune-ups to a steady stream of cyclists throughout the morning. We spoke to several cyclists who said one of their main reasons for living nearby was so they could easily bike to campus and other nearby locations. One woman said she used the Fairfax County Bike map when her family was deciding where to live. At mid-morning a group of Prince William County cyclists appeared, led by Rick Holt of the GMU Human Resources office. Rick is organizing bike commuting and bicycle skills classes that are being available to faculty and staff for the first time this year. 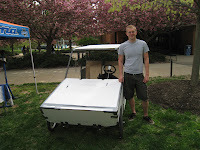 Nick Turner is pictured on the right with his prototype velomobile that he designed and built himself. 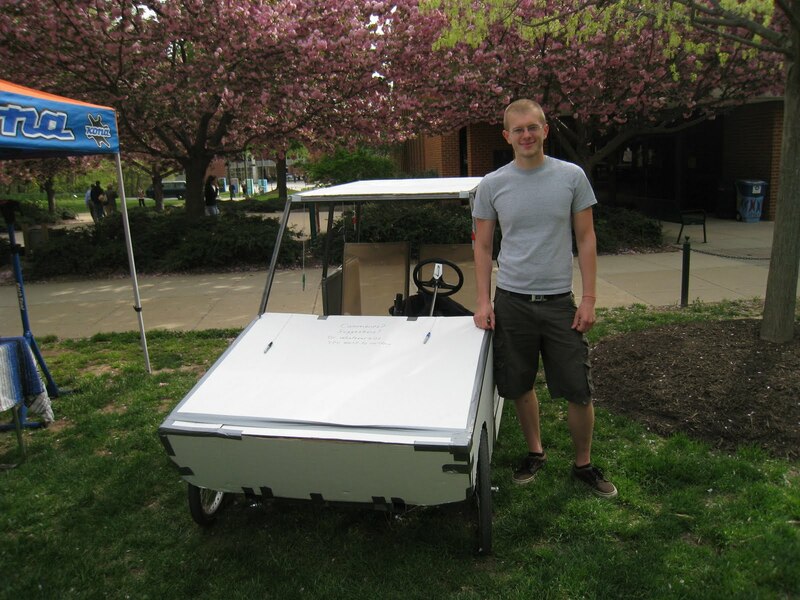 Nick was a GMU student for a couple of years but left to gain some very practical real-world skills by building the pedal-powered car that he hopes to market some day. Thanks to Josh Cantor and the Transportation office staff for putting this event together. 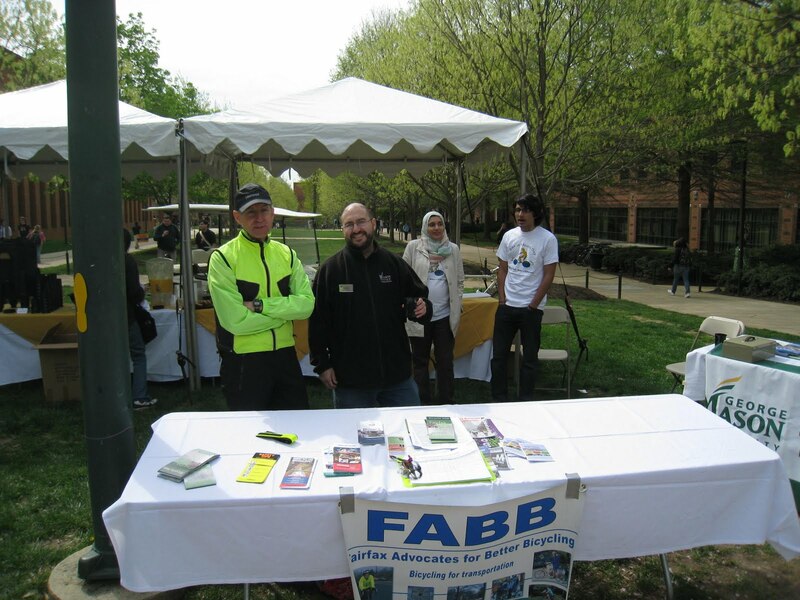 It was a great chance for GMU cyclists to celebrate biking to campus, get bike literature including copies of the Fairfax Co map, and talk about ways to ride to campus. The weather's warming up for those who prefer to get around the Washington area on their bikes. New lanes and trails are making the streets safer for cyclists, and the Capital Bikeshare is expanding its footprint. Whether you're a daily bike commuter or a weekend warrior, we've got tips on staying safe and having fun. The Velo-City conference is in its 31st year and strives to "encourage cycling as part of daily transport and recreation," according to its website. Attendees viewed cities showcasing their bicycle-friendly policies, and advocates sharing policy and procedure ideas. She also blogged about the conference for LAB. Let's hope Lyndsay returns to this area to help make cycling a daily transportation option for everyone in Fairfax. 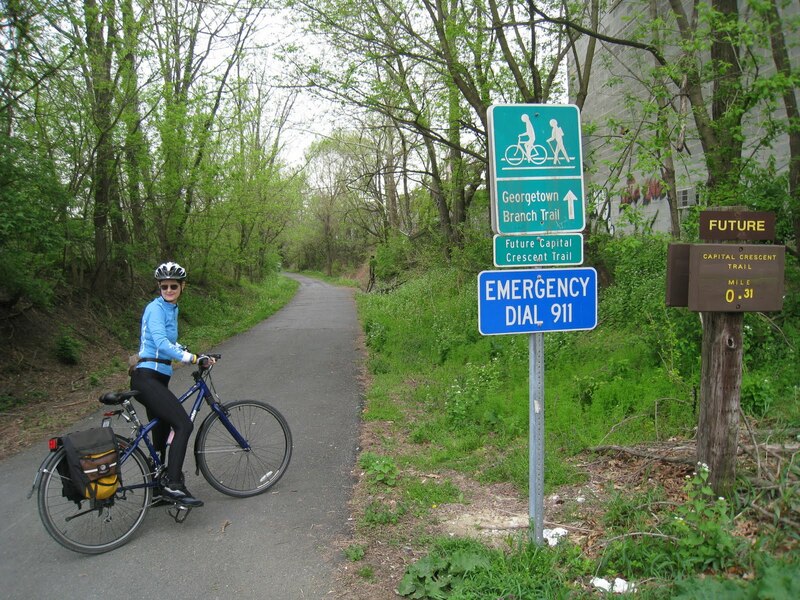 The W&OD Trail will be a bit more crowded west of Reston this Saturday, April 23. The Ride to Providewill start at the Reston Town Center in the morning with 10, 20, and 35 mile rides on the W&OD Trail. The primary goal of Ride to Provide is to raise awareness and money to support youth programs across America and the underprivileged and abandoned children in parts of Africa. All net proceeds from Ride to Provide will benefit the programs and serve the mission of Lorenzo Alexander's ACES Foundation as well as hundreds of orphaned babies, poverty-stricken women and children in parts of Africa by providing safe homes, loving environments and access to education. We've heard a lot about the other CCT, the Capital Crescent Trail (as opposed to the Cross County Trail in Fairfax) but have never ridden the entire length of the trail. Today seemed like a good day to check it out. We started in Reston and decided to take a few miles off of the round trip by using Metro from Vienna to Silver Spring and starting at the furthest east end of the trail. Thinking that Metro wouldn't be very crowded at 11am we were surprised to see the station packed with people, mostly young people. Oh yeah, Spring break! With our bikes we squeezed into one of the cars near the end of the train and headed to Metro Center. As an aside, the bike parking on the north side of the Vienna station was completely full, with 2 bikes at every U rack and a few bikes locked to light poles. Fortunately the Red Line train to Silver Spring was not crowded. We rode around downtown Silver Spring while Kerie tried to find landmarks from her youth. It wasn't easy given all of the development that has occurred there since the arrival of Metro, but she finally found the former locations of The Hecht Co., JC Penney, and the Hot Shoppe. The Silver Spring metro station has probably the worst bike parking of any Metro station I've seen. 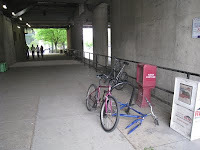 There was one bent U rack with a carcass of a bike locked to it, and a few other bikes locked to the nearby railing. Pitiful. It's an easy ride from the station to the start of the Trail using Second Ave, Grace Church Rd and other side streets. The route was well-marked as long as you know that the CCT is called the Georgetown Branch Trail at this point. The trail from Silver Spring to Bethesda is a packed stone dust/gravel surface that was in good shape. We stopped in Bethesda at Elm St Park which is adjacent to the trail and had an excellent lunch from The Brown Bag located nearby. 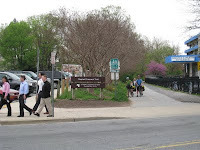 The current CCT starts at Woodmont and Bethesda Ave where it is a wide, paved trail. Two cyclists with camping gear just happened to be pondering what to do next when I took the photo at the left. From Bethesda to Georgetown the trail follows a green corridor that hides the fact that you're traveling so close to the city. We were a little late to see the cherry blossoms near River Road. At Fletcher Boat House the Potomac River almost reached the building, with huge logs floating by, all a result of the recent heavy rains. We learned late that parts of Georgetown were flooded today. We didn't get that far, stopping just past Key Bridge to watch debris float by on the river. Then we headed up to M St to get to the wide sidewalk on Key Bridge and crossed over to catch the Custis Trail in Rosslyn and on to the W&OD Trail and back home. From Silver Spring to Reston was a total of 35 miles. If you haven't ridden the Capital Crescent Trail, it's highly recommended but we suggest going on a weekday as we've heard it's as crowded as the W&OD Trail on a nice weekend. The Vienna Bicycle Advisory Committee is beginning to plan for additional bike routes in the Town. As we reported earlier, the Town Council recently approved a bike route that will eventually be a route from the W&OD Trail to the Vienna Metro station, along Locust St and Courthouse Rd. The advisory committee is asking cyclists to give them "feedback on where we need to add bike routes in the Town of Vienna." To do that you can take the Bike Route Survey. 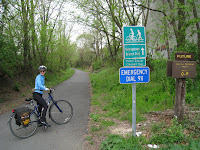 We took the survey and suggested several signed bike route: from Vienna to the Dunn Loring Metro station; a route parallel to Maple Ave using Church St and Windover Ave; and a route from the W&OD Trail to Tysons using Church St, Ayr Hill Ave, Creek Crossing Rd, and Fairway Dr. Many of these routes are on the Vienna Bike Route map produced by Fairfax Co DOT in consultation with the Town Council. The map forms a good beginning on identifying potential signed bike routes throughout the Town. It was a wet day at the Fairfax Co Government Center for Clean Fairfax Earth Day/Arbor Day. Fortunately the organizers moved the event inside. As a result of the rain there were many fewer visitors than expected. Despite the rain several people stopped by the FABB table and picked up maps and other bike literature, signed up for the FABB newsletter, and talked about riding in Fairfax. Many people said they would ride more if conditions were better. It's a common theme when we are out talking to the general public. People say they want to use their bikes but they don't feel safe riding on the roads. Most of our streets were not designed for cyclists, and novice cyclists feel especially vulnerable. The main reason we teach the Cycling with Confidence class is to help cyclists learn the skills needed to ride in traffic. The county needs to do much more to encourage people to ride by providing safe, convenient bike facilities. We had a good conversation with the representative from Inova who was at the table next to us. Inova is sponsoring Let's Move the Needle on Childhood Obesity, and we discussed the importance of kids using active transportation. It's a lifelong activity and helps them become independent at an earlier age. Kids who learn about the rules of the road when young become better drivers as they get older. They also learn they don't have to drive everywhere to get around. We plan to have a table at the event and hope to meet others who want kids to be able to use their bikes for transportation and to get exercise. Update: See the article Going Green? It's in the Bag about the event. Five GMU faculty/staff took our latest bike commuting seminar on Friday. GMU is making great strides in becoming a more bicycle-friendly university. The entire length of Patriot Circle now has either bike lanes or shared lane markings (sharrows). 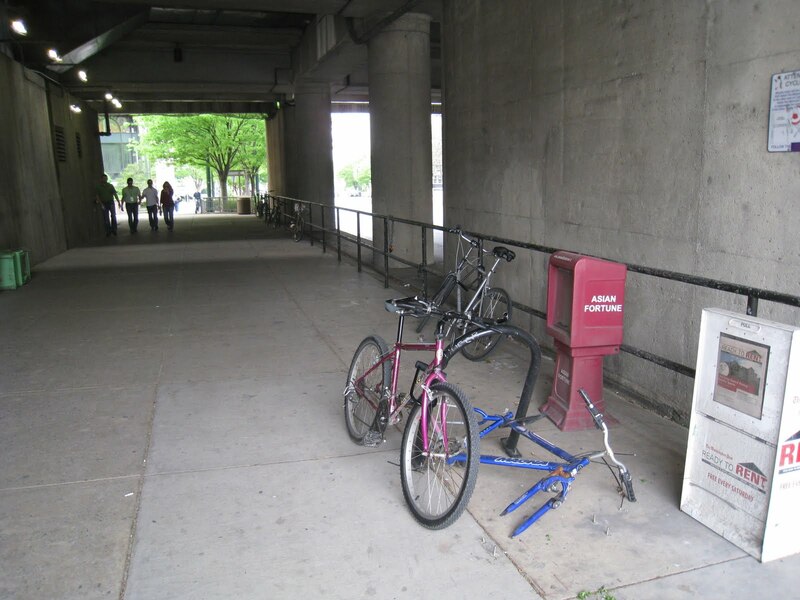 Bike parking is regularly being added and several new bike shelters are in place with new racks to be installed in the shelters this month and next. Bike to Mason Day is next week, on Thursday April 21, and we'll be there handing out bike literature and talking to students about biking to campus. Gradually more people are using bikes for transportation at the campus. Thanks to the GMU Transportation Department for sponsoring the class and to Rick Holt, a cyclist and LCI who works with the Human Resources Department, for organizing it. The next two Fridays we'll be doing bike commuting seminars at the Manassas and Woodbridge campuses. 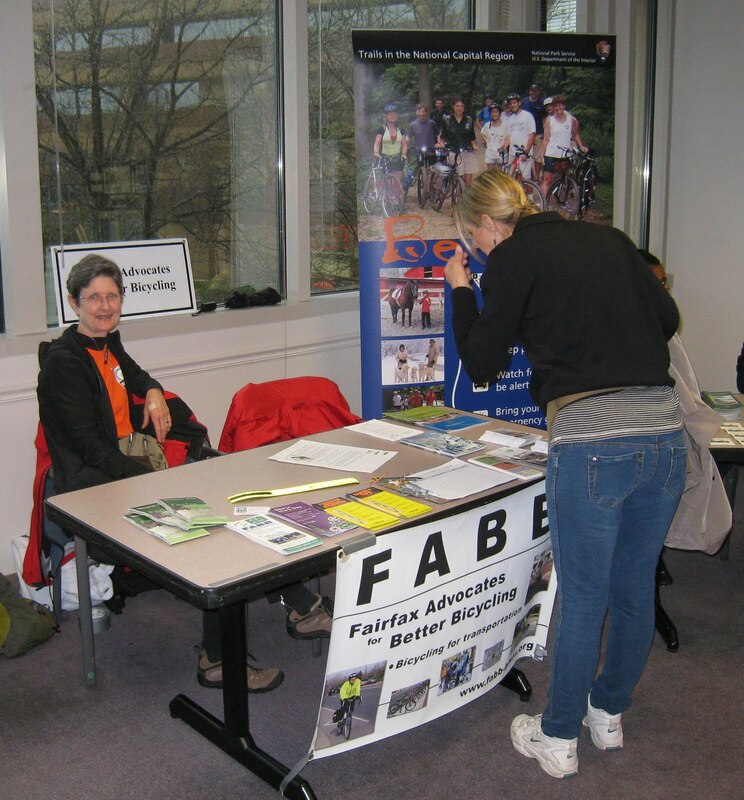 Today Shane Farthing, Executive Director of the Washington Area Bicyclist Association, announced that "WABA and FABB have joined forces to strengthen the voice of cycling in Fairfax!" While FABB has been affiliated with WABA for many years, we are now formal partners. With the approval of the WABA board and signing of a Memorandum of Understanding, FABB is now a sponsored project of WABA. What does this mean? We will now be able to work more closely with WABA to advance bike advocacy in Fairfax County, including being able to raise funds. We are a volunteer organization and have struggled at times to find funding for the hosting of our website, paying for insurance for group rides, printing promotional materials, purchasing needed equipment, and paying for other miscellaneous expenses. 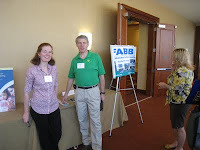 Now supporters of FABB can donate to WABA/FABB to help cover some of the cost of these expenses. We're excited about this new partnership and look forward to working closely with WABA to expand bicycle advocacy in Fairfax. 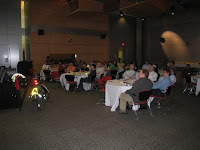 There was a good turnout of over 50 people for the bike commuting seminar we gave today at the AOL campus in Loudoun County. The campus is located off Pacific Blvd near Waxpool Road. Bike access to the site improved greatly when Pacific Blvd connected to the W&OD Trail recently. Conditions between the W&OD Trail and the campus are not great, especially for inexperienced cyclists. There are no bike lanes or trails between the two locations. There is a shopping center located near the campus but many people drive the short distance at lunchtime. With bike lanes or a good paved trail it would a short trip by bike or on foot. This is the second of several bike commuting seminars planned for various locations in Northern Virginia. They are made possible in part by a grant from the Transurban-Fluor Community Grant Program. The AOL event was organized by the Loudoun County Office of Transportation Services and AOL provided the venue and great support. If you would like to schedule a seminar at your workplace, contact us at chairman@fabb-bikes.org. Congratulations to Allen Muchnick for receiving a "Certificate of Appreciation for his efforts in establishing people friendly transportation, in particular cycling" from the Arlington County Civic Federation. 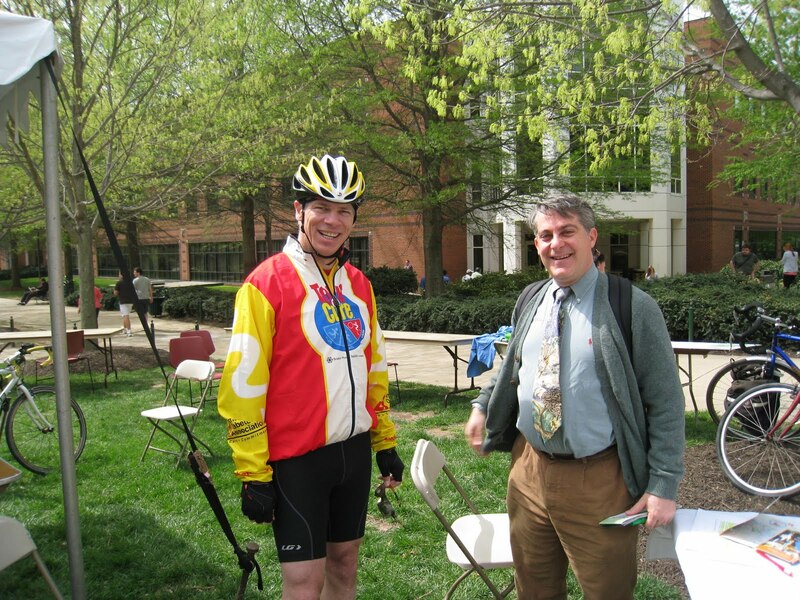 Allen has been doing bicycle advocacy in Northern Virginia for a long time. 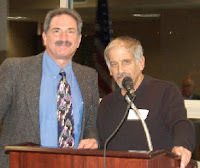 Before FABB was formed he was one of the only bicyclists to speak out for better bike facilities in the county. He's also been active with Virginia Bicycling Federation, the Arlington County Bicycle Advisory Committee and other organizations. Thanks to Allen for all his work over the years. The award is well-deserved. See photos of the awards presentation. Hat tip to Washcycle. AASHTO thinks bike/ped facilities requirement is "undue burden on states"
At last year's National Bike Summit USDOT Secretary LaHood announced new Federal policy recommendations to state DOT's to ensure that bicyclists and pedestrians are treated as equals with other transportation modes. See our earlier blog entry about the announcement. The law clearly states that bicycle and pedestrian facilities shall be considered where appropriate. However, FHWA guidance has embellished the law from "consider where appropriate" to a must include condition unless not doing so can be justified. Furthermore, it states that "there must be exceptional circumstances" for not providing such facilities. This regulation presents an undue burden on states to justify exceptional circumstances when not including provisions for bicyclists and pedestrians in a project. Recommendation: FHWA should rescind their guidance on the meaning of "due consideration." AASHTO doesn't say why this is an undue burden. I am requesting that a meeting be set up with your office in the next several weeks, so that we can discuss how best to staff a Fairfax County SRTS Program grant application process. I strongly recommend that for the Fairfax County SRTS Program to be successful, you and/or the School Board need to direct FCPS staff "from the top down" to make the SRTS Program a FCPS priority. It is our intent to begin working with parent organizations to determine how we might begin to address the issue of parent decisions regarding Kiss and Ride in the hope that collaboratively we might begin to encourage parents to allow their children to walk or ride buses to schools. We will keep you informed of these efforts. Finally, FCPS is in favor of formalizing the current ad-hoc process of the SRTS process. It is suggested that OSS, FCDOT, VDOT and the Fairfax County Police Department (FCPD) form a review team for potential SRTS infrastructure projects. 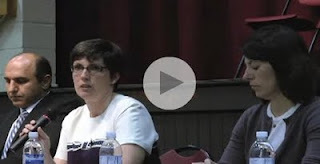 Currently, there is a draft SRTS infrastructure grant application (submitted March 25, 2011) for Terra Centre Elementary School that could be a pilot For such a process. We plan to continue to work with all of the groups above to try to encourage kids to walk and bike to school and to educate them on how to safely interact with traffic. The Dale letter contains some interesting facts about how kids get to school from a Kiss and Ride Survey. "The majority of designated walkers (60%) and a significant number of designated bus riders (39%) use Kiss and Ride." In other words, 39% of the seats on school buses that Fairfax Co. taxpayers are paying for are empty. The county also funds construction of sidewalks, within 1 mile of elementary and 1.5 miles of high schools, built specifically to provide safe walking routes to school. What are some reasons for not walking? Their backpacks are too heavy, they have too many items to carry, bad weather, and because students want to get more sleep. Reasons for not taking the bus include after school activities, sleeping more, and the bus comes too early. When parents were given a list of ways to address some of these problems, and asked if it would affect their driving behavior, 61.5% of parents said they would still drive kids to school. On a related topic, the study completed in 2007 on the possibility of later high school start times, known as the SLEEP study, contains a great deal of school transportation information. Join us for Washington DC's first-ever Kidical Mass ride - a legal, safe and FUN bike ride for kids, kids at heart, and their families. Coffee! Prizes! A chance to meet other cycling families! Meet us at 10am on Saturday, April 23 across the street from Eastern Market Station for refreshments, a bicycle decorating party, and an opportunity for future cyclists to ride their pushbikes and tricycles in a protected area. Then we'll leave at 11am for a leisurely ride through Capitol Hill before ending at the Argonaut for brunch. * 11:00am: Main ride begins. Prizes from BicycleSPACE will be awarded at the end! * End point: The Argonaut, 1433 H St. NE. On a related note, Wolfie's Bike Train to Wolftrap Elementary School in Vienna will be riding on Friday, April 15th and Wednesday, April 27th. Fionnuala and I attended the Keep Tysons Moving event early this morning. The purpose is to provide updates on construction of the HOT lanes and Dulles Rail projects, and to provide employers with information about the many transportation options serving Tysons. This is our third year at the event and each year there seems to be more interest in biking to Tysons. As Fionnuala mentioned on the FABB Facebook page, we met Dr. Gridlock, Robert Thompson for the first time. We had communicated once about including bicycles in his comparison of travel times, either comparing different routes or travel modes. He was interested but it never developed. He's still interested to so we'll continue to pursue the idea. The event is held at Capital One, just inside the Beltway and north of Rt 123. Employees can see the Tysons Mall but can't get there on foot and crossing under the Beltway on123 on a bike is intimidating to say the least. We rode from Reston and Vienna, taking the W&OD Trail to Virginia Lane to Hurst St to Idylwood to Idyl Lane to Pimmit Drive. Then we crossed Route 7 and took the service road north along Route 7 which turned out to be a decent route that lead to Lisle Ave with just a small detour where the service road was blocked and could easily be re-opened just for bike/ped traffic. We then took Lisle to Cherri, Magarity, Holly Ridge and Old Meadow Rd which lead to Capital One. It took me an hour from Reston and it was a pleasant start to the day. We learned about a new program offered by Fairfax Co. Employer Services Program, the Bike Benefit Match Program. The program is for large employers (100 employees on-site) who agree to participate for a year. The county will reimburse the employer for 50% of the cost of implementing the Bicycle Commuter Tax Benefit. Employees receive the $20/month benefit and it only costs the employers $10/month for the first year, with Fairfax Co paying the rest. We also learned about a new program offered by VDOT through NuRide: "Commuters can earn rewards for telecommuting, carpooling, vanpooling, taking public transportation, walking or biking. Commuters sign up for free at gotysons.org/nuride, and earn points for each car-free trip they record on the web site. Points are then redeemed for coupons, discounts and special offers from nearly 50 local restaurants and retailers. There will be weekly drawings to win $100 in free groceries from SHOPPERS." We also promoted the Bike Commuting Seminar that we plan to teach on Friday, May 6 in Tysons. A light lunch will be provided. For more information and to RSVP, contact TYTRAN (703-799-5394, info@tytran.org) or Bruce Wright, chairman of Fairfax Advocates for Better Bicycling (FABB) at chairman@fabb-bikes.org, 703-328-9619. Vienna is one of the few places in Fairfax County that has a well-connected grid of neighborhood streets that makes it a good cycling town, if you know your way around. Otherwise it can be a bit of a maze as the NW/SE-oriented grid is not completely connected and it's easy to get lost. After one of our first FABB meetings I can remember giving directions to the Vienna Metro station to former WABA director Eric Gilliland. I heard later that he got lost and after riding around for a while finally stumbled upon the station. 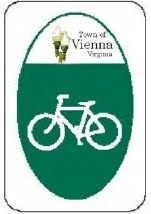 Over the past several months the Vienna Bicycle Advisory Committee has been working on a proposal to create a signed bike route between the W&OD Trail/downtown area and the Vienna Metro station. The first phase of that route begins at Vienna Elementary School, proceeds along Locust Street and continues on Courthouse Road to Nottoway Park. Tonight after a brief public hearing in which several cyclists spoke out in favor of the route, the Town Council, on a motion by Councilman Dellinger, approved it unanimously..
As we noted in our earlier blog post about the route, it's not perfect, but it is an encouraging start on a network of bike routes throughout the Town. Drew Meren, Chairman of the Transportation Safety Commission and former chair of the Bicycle Advisory Committee gave the presentation and also showed a half-size version of the Vienna-specific bike route sign (above). Congratulations to the advisory committee on getting this first every Vienna bike route approved and good luck in the future. Council Approves Bike Route On Courthouse Road from Vienna Patch. Courthouse Road to Get Shared Bicycle Routes from Sun Gazette. The Northern Virginia public hearing VDOT's Six Year Improvement Program is scheduled for Wednesday, May 4 at the new N. Va. VDOT District Office, Potomac Conference Center, 4975 Alliance Drive, Suite 1N201, Fairfax, VA 22030 (map). The hearing begins at 7pm. We're doing some research into the plan and will likely present comments at the public hearing. Unfortunately the VDOT Six Year Improvement Program page doesn't help much as it is about a year out of date. We'll have to wade through the Six Year Plan database. One major concern we have is that the state has been without a bicycle coordinator since Jakob Helmboldt left in January 2010. Since that time the State Bicycle Policy Plan has been in draft form and the bicycle advisory committee has not met. To our knowledge this is a federally funded position and there's no excuse that it has not been filled. At their meeting on Monday April 4 starting after 8pm, the Vienna Town Council is holding a public hearing on the Courthouse Road bike route plan. See the meeting agenda for more information (large pdf), including photos, maps, wayfinding sign designs, comments from the public at the February 22 TSC meeting (p. 20), etc. This plan was discussed at the Vienna Bicycle Advisory Committee meeting we attended in January. The original plan was to add bike lanes to the road between Locust and Nutley Streets. Parking is currently permitted, and to implement bike lanes parking would have to be restricted. The handful of residents who do park in the road protested vehemently and that proposal was dropped. The latest plan is for an 11 foot travel lane with a white outer edge stripe, creating a paved shoulder. There will be roadside bike route signs with some wayfinding signs. 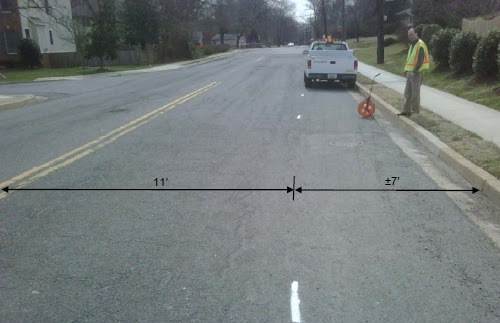 In part because VDOT has not accepted them for approval, Shared Lane Markings will not be used. However, we've heard that VDOT plans to adopt Shared Lane Markings by this summer. If appropriate, shared lane markings could be included as part of the plan. See the draft Draft Virginia MUTCD Supplement web page. While we strongly support the idea of bike routes to the Vienna Metro station, we think the current plan has some problems. It works fine until a cyclist, riding in the paved road outside the 11 foot travel lane, encounters parked cars and must navigate back into the travel lane, across a solid white lane marking. The current road configuration is probably better for cyclists without the 11' lane markings. If bike lanes are not going to be striped, and if parking continues on the road, then bike route signs would likely be sufficient. While the purpose of the 11' lane markings is to reduce traffic speeds, which will benefit cyclists, they also complicate bicyclists' movements. This will not be a major problem as there is very little parking on this segment of the road. We hope that in the near future the Town will take steps toward developing a comprehensive bicycle master plan that would include a network of signed bike routes through the Town, bicycle parking and other bicycle infrastructure, and bicycle education and encouragement. In her March 28 Metro article, "A cloud over Metro's Silver Line," Kafia A. Hosh wrote the following: "When the four stations open in 2013, none will have parking . . . ."
That is correct only with respect to cars; all will have parking — bike parking. There will be space for several hundred bicycles, and more bike parking can easily be added, at a very small fraction of the cost of car parking, as was noted in the March 21 Metro article "Metro to lure bike-to-rail commuters." Many residents around the region who live near Metro stations find that bicycling to the stations is quicker, less expensive and more convenient than driving to the station and parking. These short car trips also generate the most air pollution, since vehicles burn fuel less efficiently before properly warming up. Hosh also asserted that Fairfax County "has outlined a bicycle path network . . ."
This is only partially correct. The county has developed a comprehensive bicycle master plan for Tysons Corner that includes recommendations for on- and off-road bicycle routes, bike parking and other end-of-trip facilities, and encouragement and education programs. Many of these recommendations can be implemented before Metro arrives; we hope that the county hears the concerns of citizens and provides adequate funding and oversight to ensure cyclists can easily and safely access the new stations and other locations in Tysons Corner. The writer is chairman of Fairfax Advocates for Better Bicycling.